Music. Nature. Food. Creative Minds. A series of three exclusive concerts in some of Austria’s most impressive sceneries will showcase the country’s unlimited and diverse creative potential. While Austrian bands from various genres and the landscapes surrounding the venues will sure impress the audience, there’s more to be excited about. Concert guests will be treated to samples from a menu created by Koch.Campus, an initiative of Austrian top chefs, for the Austrian pavilion in Milan. All of these extraordinary dishes are based on the resources Austrian woods have to offer. And finally, there will be a concert by Electro Guzzi in Milan, bringing this culinary and musical interplay between Austria and Milan full circle. More articles and multimedia content will be available on the project’s platform www.breathe-aut.com, featuring brilliant creative minds and more than 30 topics ranging from architecture, entrepreneurship, social design, craftsmanship and culinary art to music, nature and photography, all presented from various angles. Thus, we create an attractive and modern visual approach to the main objective of Austria’s representation at EXPO 2015: showcasing the country’s cultural identity and economic strength and opening up perspectives for our society. 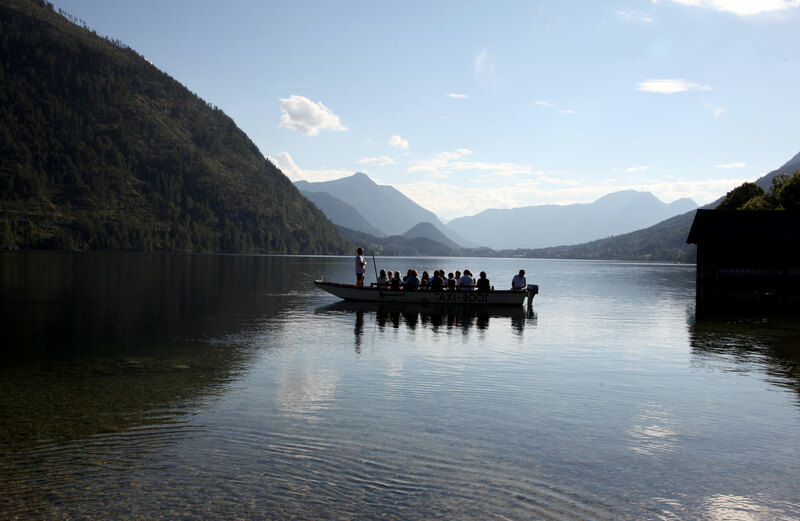 Come and join us in (re-) discovering, experiencing, feeling Austria in its many facets! Alle Inhalte auf dieser Website sind urheberrechtlich geschützt. Texte, Bilder, Grafiken, Sound, Animationen und Videos unterliegen dem Schutz des Urheberrechts und anderer Schutzgesetze. Der Inhalt darf nicht zu kommerziellen Zwecken kopiert, verbreitet, verändert oder Dritten zugänglich gemacht werden. Jede Nutzung, insbesondere die Speicherung in Datenbanken, Vervielfältigung, Verbreitung, Bearbeitung und jede Form von gewerblicher Nutzung sowie die Weitergabe an Dritte − auch in Teilen oder in überarbeiteter Form − ohne Zustimmung des Betreibers bzw. des Urhebers ist untersagt.